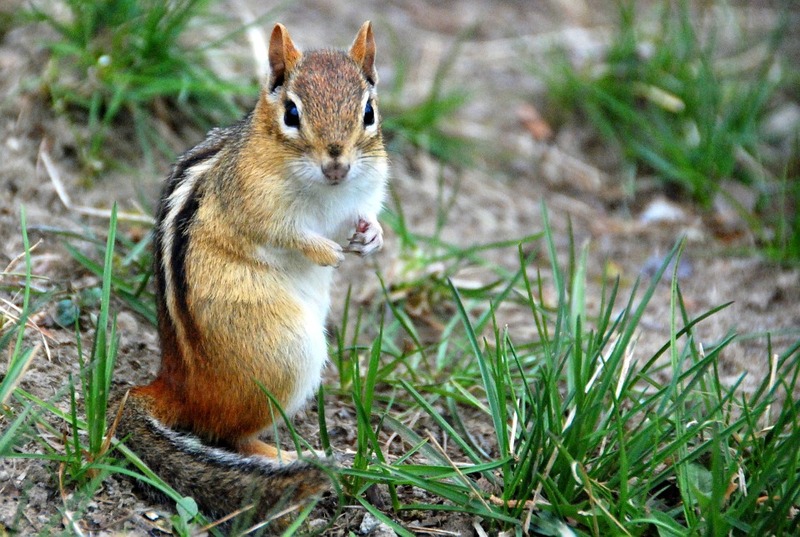 The Eastern Chipmunk is one of three species of Illinois ground squirrels. 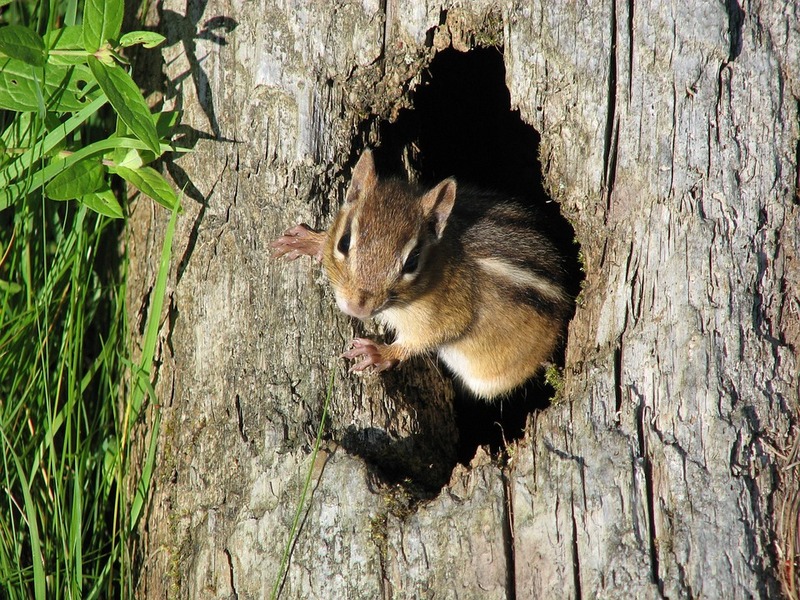 If you think you may have a Chipmunk problem, please use the information below to help correctly identify if this is, in fact, a chipmunk, and contact us today to learn about our chipmunk removal and prevention services. 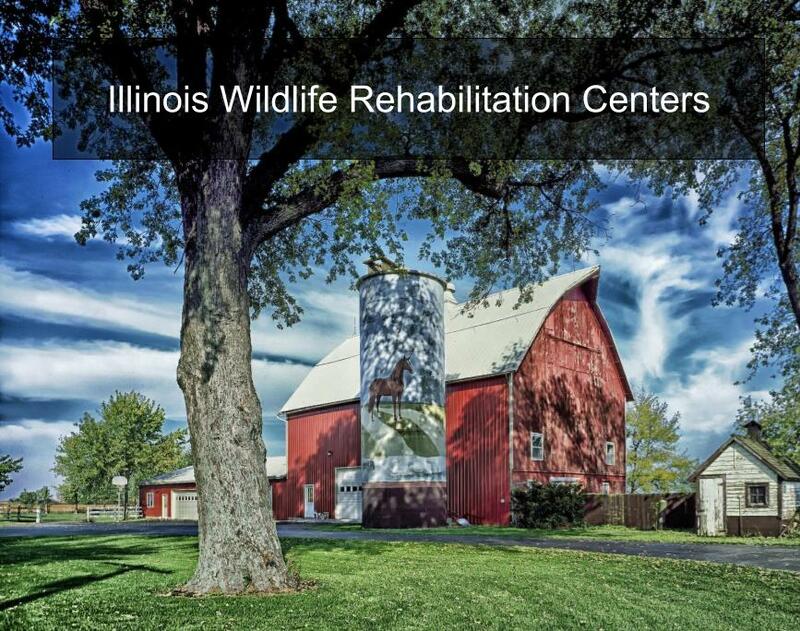 The Eastern Chipmunk of Illinois is a small and nimble creature that weighs only 2 to 5 ounces and is typically 8 to 12 inches in length. They are recognized by their light, and dark stripes found on their back, sides, and cheeks. Their fur is reddish-brown or rust in color with white or off-white belly and sides. The ears of the Chipmunk are rounded and stand erect. A Chipmunk’s tail is covered with fur and is almost flat in appearance, not bushy like other species of Squirrels. Chipmunks have what are known as internal cheek pouches which they use to aid in the transportation of food or excavated soil. 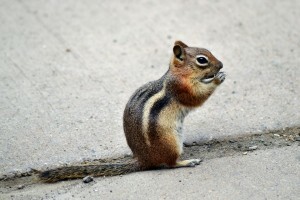 while a chipmunk looks cute do not approach them! 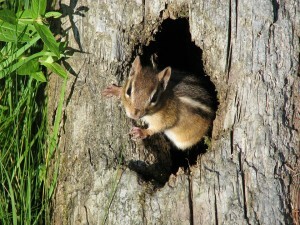 In terms of habitat, a chipmunk prefers to reside in areas that border woodlands or provide areas of woodsy underbrush where nuts, seeds, and fungi are present. 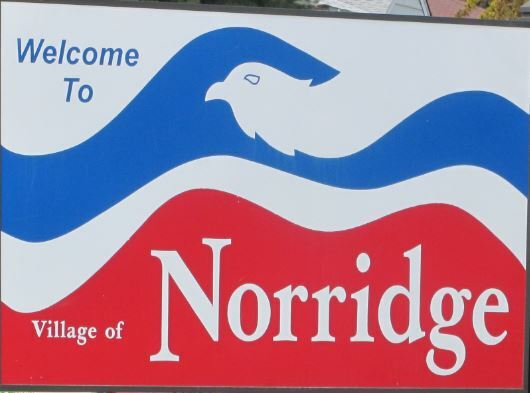 They have limited digging capabilities, so they will often make their homes under existing structures such as rocks, logs, brush piles, and buildings. 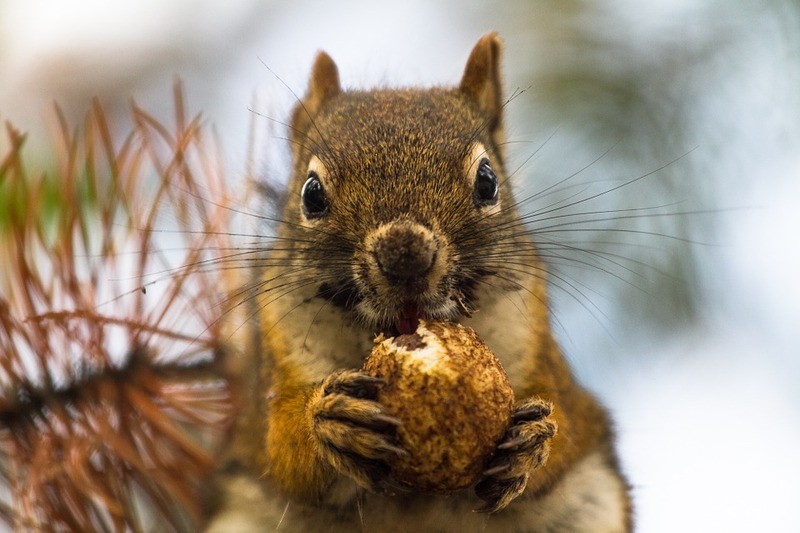 In addition to nuts and seeds chipmunks have been known to eat flowers, flower buds, beetles, grasshoppers and spiders when available. Like other squirrel species, the Chipmunk will stash away or store their food.